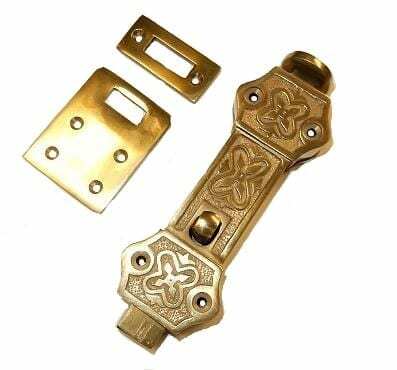 Brass Transom Latch can be used in conjunction with pivoting transom hinges and would mount on the bottom rail of the transom, with the strike plate being mortised to the bottom of the transom’s jamb. 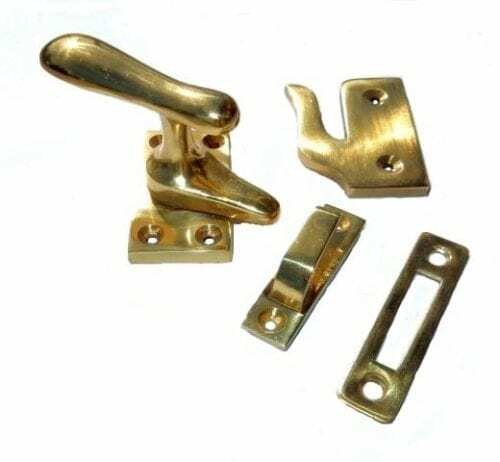 The latch is operated by pulling up on the loop at the top. 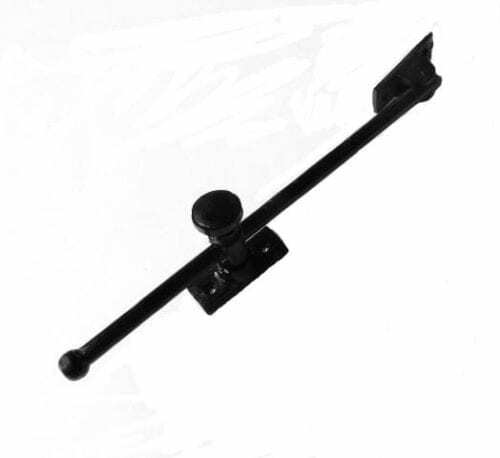 (one of our clients suggests mounting a hook to the top of a broom stick to avoid getting on a stool.) 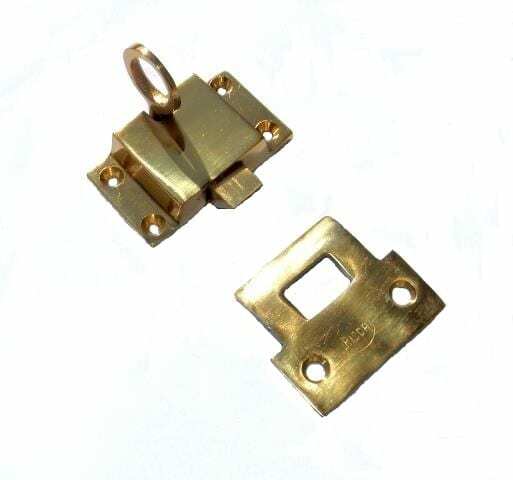 The latch measures 2-1/8″ wide, 1-1/4″ tall, and 5/8″ deep (with the loop standing 1-3/8″ deep). 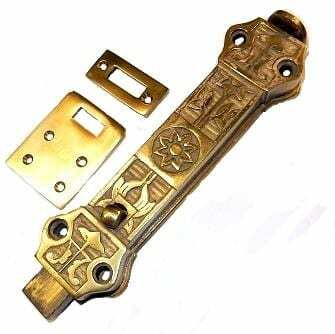 The strike plate measures 1-3/4″ wide, 1-1/2″ deep, and mortises 1-3/4″ x 3/4″x 3/16″ into the jamb. 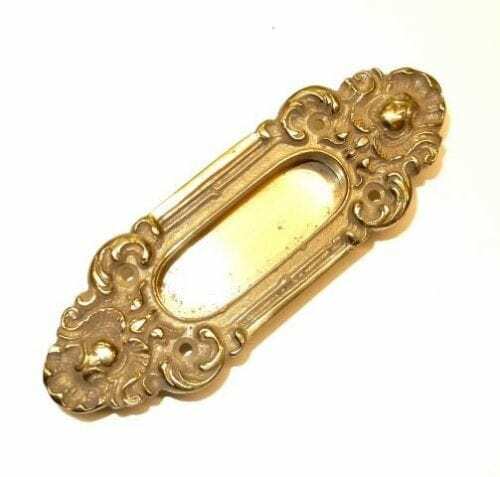 It is made out of solid brass.